On August 15, 1947, British rulers partitioned India into two separate countries:India and Pakistan. (In 1971, East Pakistan became an independent country, Bangladesh) These partitions were based on religion, with the intent of India existing as a Hindu majority country and Pakistan as a Muslim majority country. However, one Muslim majority state,Jammu and Kashmir(J&K), bordered both India and Pakistan. Jammu and Kashmir’s Hindu ruler, Maharaja Hari Singh, wanted the state to remain independent, rather than join either India or Pakistan, though J&K had a Muslim majority. 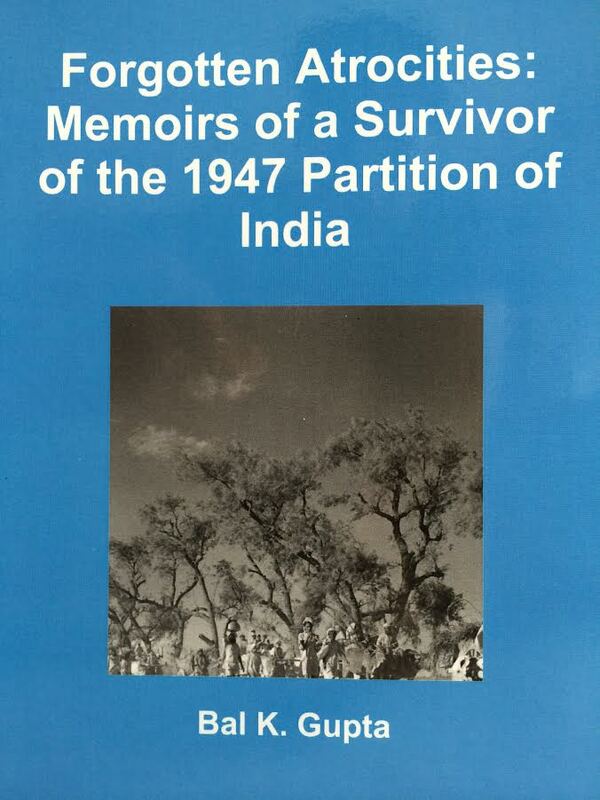 In 1947, I was ten years old and lived in a Hindu majority town of Mirpur (now in Pakistan Occupied Kashmir). Mirpur was one of many small towns in J&K that lay directly on the border of India and Pakistan. Hindus, Sikhs, and Muslims had lived peacefully with one another for centuries in Mirpur. By early August, many Hindu and Sikh refugees from Pakistan had entered Mirpur because J&K was ruled by a Hindu Maharaja. This swelled the population of Mirpur from 10,000 to 25,000. All the refugees were accommodated in Hindu temples, Arya Samaj, Sanatan Dharam Sabha, Sikh Gurudwaras and many private homes. Free cooked food or rations were supplied to these refugees by volunteers. I used to go along with my uncle to serve some of these refugees in nearby Arya Samaj temple. I also saw many young refugee boys and girls playing in a municipal playground in tattered clothes. However, harmony between local Hindus, Sikhs and Muslims was still intact even after such massive influx of refugees. On August 14, the Independence Day of Pakistan, I saw many Muslims of Mirpur hoist Pakistani flags on their shops and businesses and congratulate each other for the creation of Pakistan. On August 15, Hindus and Sikhs of Mirpur also hoisted India’s flag on their shops and businesses and congratulated each other on the liberation of India from 200 years rule of the British. Some wealthier individuals listened to Pundit Nehru’s speech on their battery powered radios since Mirpur did not have electricity at that time. However, the business between Hindus, Sikhs and Muslims went on as usual and the population of Mirpur livid in peace under the Maharaja. In late August, I celebrated Lord Krishna’s birthday (Krishna Janamashtmi) in Radha Krishna temple of Mirpur till midnight. However, this peace was shattered after a few months. On October 22, 1947, in an attempt to annex J&K to Pakistan because of its Muslim majority, Pathan mercenaries along with the Pakistani army invaded J&K with full force. On November 25, a very large number of Pakistani soldiers and mercenaries defeated the small garrison J&K army. This invasion forced the Hindu and Sikh populations to flee towards India. The migration was supposed to be an orderly event overseen by the J&K army. However, improper planning by military officers and civil administrators resulted in the abandonment of Mirpur before the evacuation was complete. This left Mirpur’s remaining Hindu and Sikh populations at the mercy of the advancing Pakistani army and heavily armed mercenaries. Around 20,000 Hindus and Sikhs were either killed or women kidnapped. 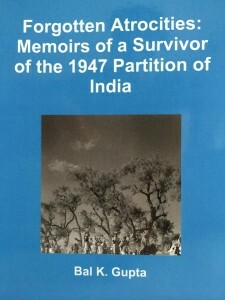 I was taken prisoner along with 5000 Hindus and Sikhs, held captive in the Alibeg Concentration camp and was finally liberated in 1948 by the Red Cross. Only 1600 women, children and the elderly persons survived. I hope those horrible days are not repeated.